Two Okanogan High School students have won top honors at the 43rd Annual Superintendent of Public Instruction’s High School art show. Fifteen awards are awarded to student artists. Schools of all sizes compete. Okanogan is a 2B school. Work was first entered in regional shows based on Educational Service Districts. The Best of Show winners from there are forwarded to the state show. Her work is print is framed with the original printing plate and the poem. Sydney is a sophomore. 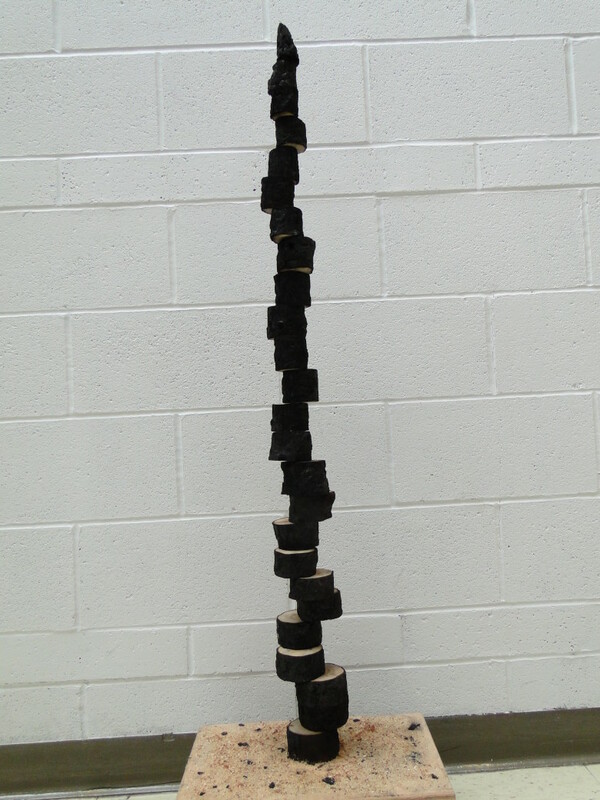 Eric Arroyo won for his sculpture titled “Zig Zag”. It is made from a lodgepole pine charred in the Okanogan Complex Fire of 2015. Eric cut the pole on the bandsaw and rearranged the pieces. His work was a judges choice award. 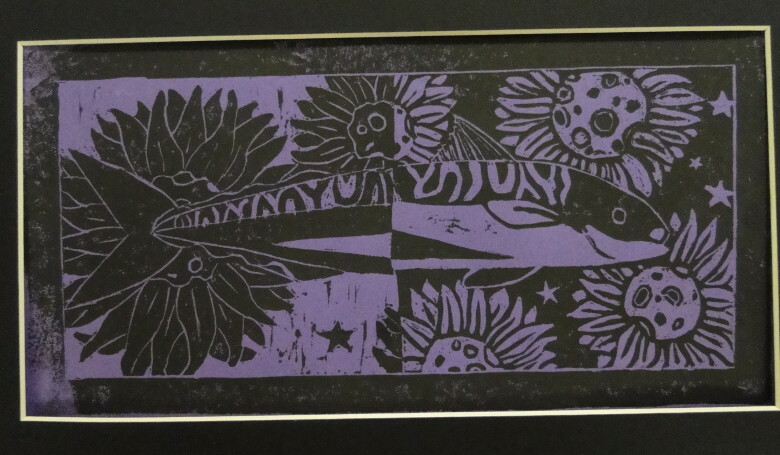 May 20 (Friday) — AWARDS AND RECEPTION for the Superintendent’s Show: 1 – 3 p.m. at OSPI.